Looking for a pair of earrings that are modern and understated? 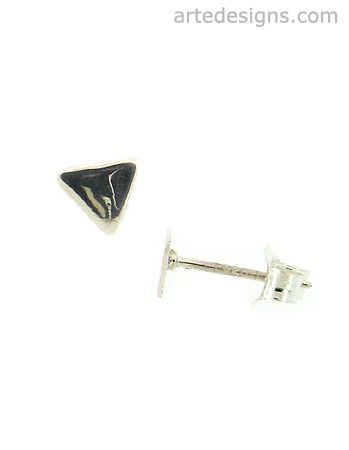 These flat triangle post earrings are just what you need to add a little shine. Triangle is just under 1/4 inch. Sterling silver.